Arts in Strongsville will host its 18th annual A Day at the Chalet, Sunday, September 17, 2017, at the Cleveland Metroparks Chalet Recreation Area, in Strongsville. 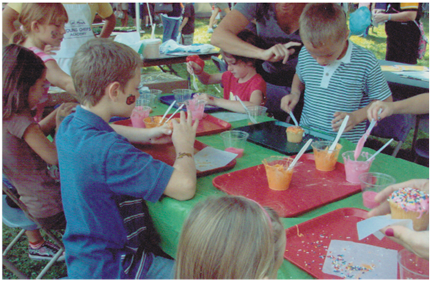 A Day at the Chalet is a free family outdoor arts festival that emphasizes interactive arts activities for children. The event includes stage entertainment, exhibits and crafters. A Day at the Chalet is funded in part by Cuyahoga Arts & Culture and the Ohio Arts Council.